can achieve this with GetResponse email marketing and build a list of loyal travellers today. Make sure the holiday season is hot for your business. Create distinct automation campaigns targeted at adventure-seekers or those who prefer to relax on the beach. Use templates to create spectacular landing pages with pictures and videos of destinations, hotel accommodation, and beautiful landscapes. Let your audience share information about special travel offers and holiday packages via social media channels. Assign scoring points based on your readers’ curiosity and reach potential travellers before they even realise how itchy their feet are. 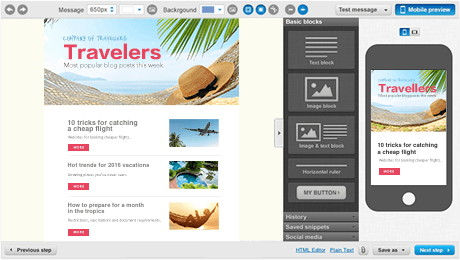 Perfect your look with the drag-and-drop editor and show your customers what they are paying for. Assign location-specific custom fields and target your workflows based on locales. Track activity on your website and learn which offers are getting the most attention. 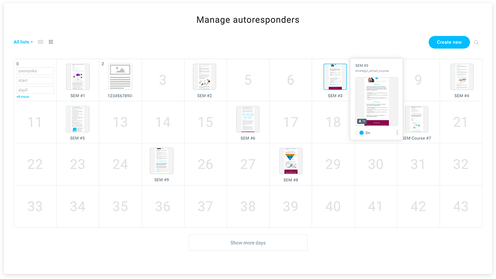 Then follow up with relevant email communication, based on sites your subscribers visit. Establish yourself as a travel expert. Be a first-hand source of travel and tourism news. Create webinars, share video tips and guides, holiday ideas, and travel destinations and send your subscribers the most popular posts every week. Send periodic emails with holiday trends, popular destinations, travel restrictions and important landmarks. Create education-based automation workflows and send helpful travel tips to new subscribers. Share video tips and guides with smart ways to save money on flights and excursions. 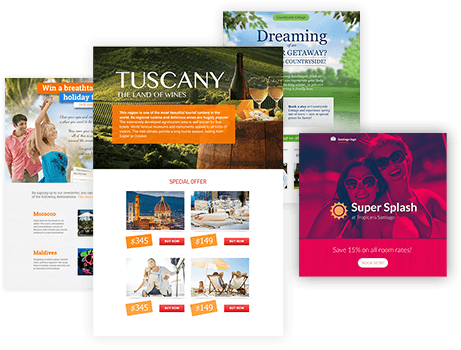 Create landing pages with individual customer travel stories and testimonials or video messages from travel bloggers, tour guides, and trip counsellors. Encourage tourists to come back. Help your customers remember your brand the next time they plan a holiday. Send limited-time special deals, tips for getting big discounts, and best ways to travel light. Offer daily up-to-date weather forecasts throughout the entire holiday season. Prepare and share regular reports about popular locations, peak travel times, and latest travel trends. Assign scores to your most loyal customers and reward them with exclusive discounts, or additional holiday perks. 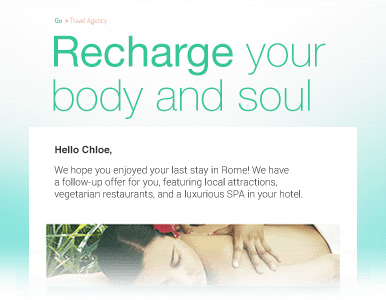 Create re-engagement campaign workflows and work to re-engage past customers with deals and helpful travel information. 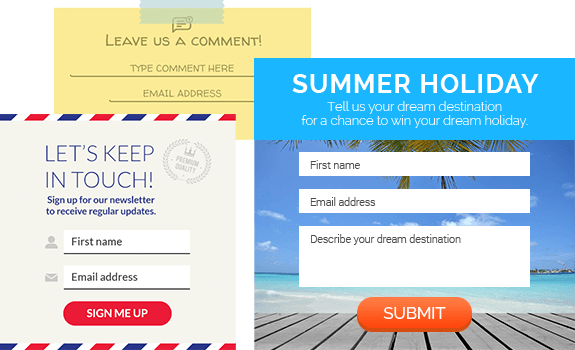 Have an e-commerce element on your travel website? Track abandoned orders and entice customers to complete their orders. Keep your customers well informed before, during, and, after their holiday. Publish important information about safety precautions, vaccinations, and cultural and political concerns. Send automatic booking confirmations and flight reminders just before the trip. Create alerts about price increases, traffic jams and hotel room limits. Build online surveys to find out whether accommodation, food, and local attractions meet the standards of your customers. Create automation workflows based on survey response custom fields and surprise respondents with impressively customised offers. Track website activity and optimise content based on visitor activity. Find out more about subscriber travel habits and send only targeted messages. Find out whether your travellers prefer luxury accommodation or farm stays and send them only the most relevant, tailored offers. Assign tags and segment your audience according to past behaviour and preferences, favourite leisure activities, and preferred weather conditions. Prepare adventure activities for families, romantic cruises for couples, and seaside trips for seniors – all depending on their individual preferences. Give access to your team members so they can manage their campaigns individually. Reach travellers all around the world. Whether north, south, east or west – now you can take care of your clients anytime, anywhere. Catch your customers while they’re on the go and make sure your message fits the screen of every desktop and mobile device. Manage global campaigns in local languages and control delivery by time zone. 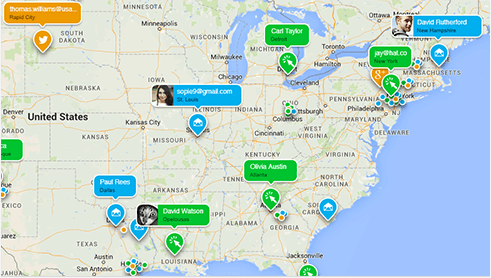 View real-time responses by continent, country, and city and bring a hometown feel to multiple locations. Boost your results regardless of the economic downturn. Test your message before sending to find out which locations, pictures or offers stimulate the most interest. 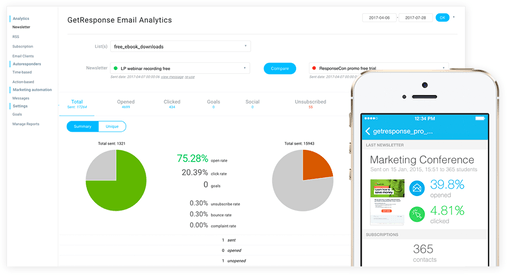 Control your results with unlimited reports, at-a-glance charts, graphs, and analytics. Measure the number of tweets, likes, and connections and consolidate your contacts to manage them all from one platform. GetResponse. Find out how GetResponse can drive sales for your business.